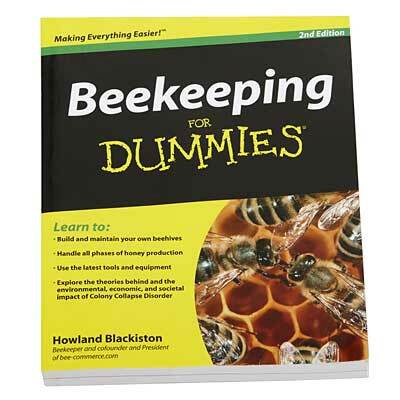 Learn how to become a fantastic beekeeper with the information in the Beekeeping for Dummies book. This wonderful book has a wealth of up-to-date information on everything from choosing a hive to harvesting the honey. The logically organized chapters and seamless flow of the book make it easy to read, while addressing the most common questions and concerns of a beginning beekeeper. Suggestions on necessary equipment, proper hive placement, and keeping your honeybees healthy abound, so you can become an expert in no time. Drawings, photographs and icons throughout the work make it easy to find the information you need in moments, while a center section has full color photographs for added detail and interest. Become an avid beekeeper with help from this Beekeeping for Dummies book. Made in the USA. Details: 416 pages, paperback, 9.25" x 7.5"